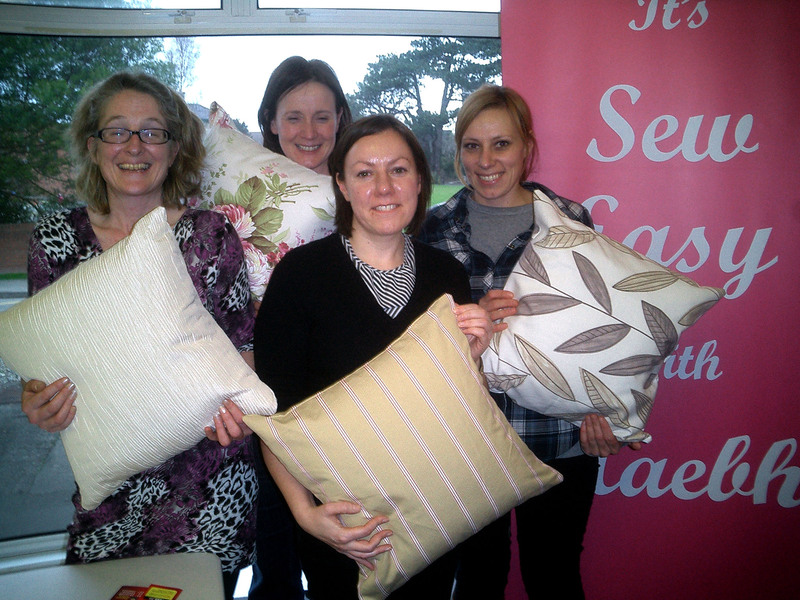 It’s Sew Easy Studio was opened in August 2010 by Maebh Walsh. Maebh Walsh brings to her sewing school, more than 30 years experience as a sewing teacher and fashion designer. Maebh started teaching sewing (dressmaking and soft furnishings), in Stillorgan and Blackrock, working with both adults and teenagers, in the 80s. Her students ranged in experience from complete beginners to competent sewers, who wanted to further develop their skills. In 2008, she began teaching her students how to make their own clothes, curtains, roman blinds, cushions and much more. Maebh brings to her sewing classes all the benefit of her talent, skills and experience as a fashion designer. Having graduated with 1st Class Honours from the Grafton Academy of Dress Design, Maebh started her own Design Business “The Shed” with fellow graduate Rosemary O’Connell. In 1983, John Rocha invited them to move to the Irish Fashion Design Centre, in Galleria, and later the Powerscourt Townhouse Centre and it was here that Maebh created her own label, “MAEDB”. She also spent 3 years in the US gaining further experience. After her return to Ireland, she continued to design and make up special occasion wear, but focused more and more on teaching. “It’s Sew Easy with Maebh”.